I’ve been feeding a raw food diet for my cats for 22 years, which has helped allow my cats to have a longer than average life. Yesterday, my Oliver, who was just a couple weeks shy of his 19th birthday, died while I was administering subq fluids. It was horrible. He was in very good health for an old man. Oliver and I traveled all over California to CFA shows and he became a Grand Premier! Today is my Chester’s 18th birthday. Chester, along with Junie Moon, has my heart. Chester has kidney failure now and he now gets daily fluids and special supplements. It’s bittersweet as I’m worried this might be his last year with me. 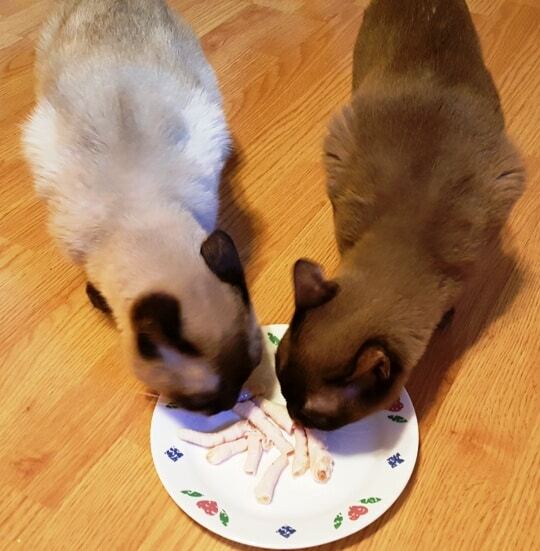 The mineral mix I make has all kinds of important vitamins and minerals and since the cats were getting older, I wanted to add high quality glucosamine and chondroitin to their diet, so I started making Chicken Feet Bone Broth in my Pressure Cooker and adding it to their raw food. This recipe is also wonderful for use in Chinese cooking, like soup, for example. 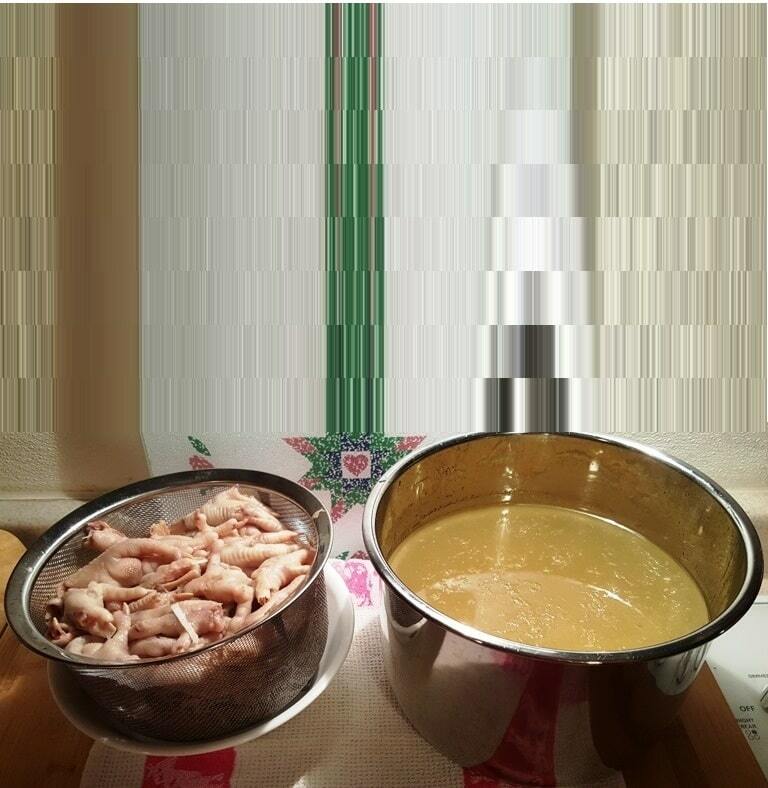 If you are a bit squeamish about seeing the feet, please check out my Pressure Cooker Bone Broth/Chicken Stock recipe. This RSVP Stainless Steel Basket works great for bone broth, as I can just remove it from the Pressure Cooker and I am left with just the broth. 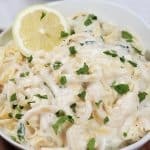 Don’t add anything to the Pressure Cooker, but the Feet and fresh water. Most cats will develop kidney failure at some point in their life, usually at around 7-8 years old (especially if they are fed a dry diet) and I feel the raw food helps prolong the inevitable. Two of my cats love to eat the toes, so I cut off the nails and give them some of the toes to nibble on, as a treat. I find the Kuhn Rikon Kitchen Shears do a great job of cutting through bones. That’s Junie Moon and Pooie enjoying some raw toes. There has been some controversy on the cook time for Bone Broth because of the glutamates, so because this is for animals, I prefer to only cook the Chicken Feet Bone Broth for 75 minutes in the Pressure Cooker. With the Salbree Steamer Basket, it’s easy to just lift out the used Chicken Feet Bones. Throw them away, do not give them to your pets. This rich broth will be very gelatinous. 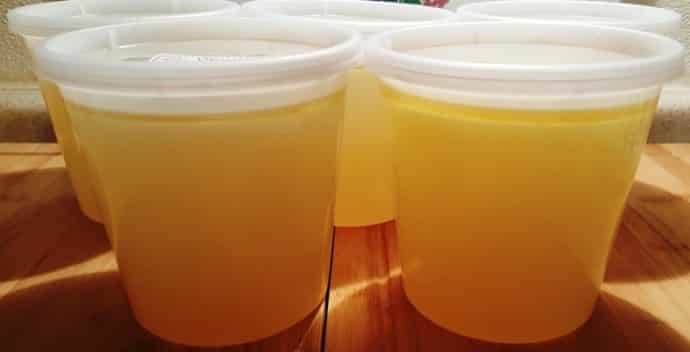 After the broth cools, package it up and freeze and then pull out a container to defrost in the refrigerator when you need. 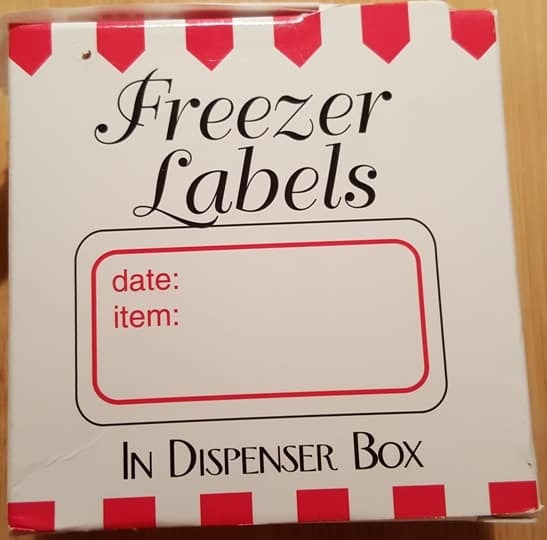 I like the Reditainer Extreme Freezer Containers and use Freezer Labels to mark the containers. 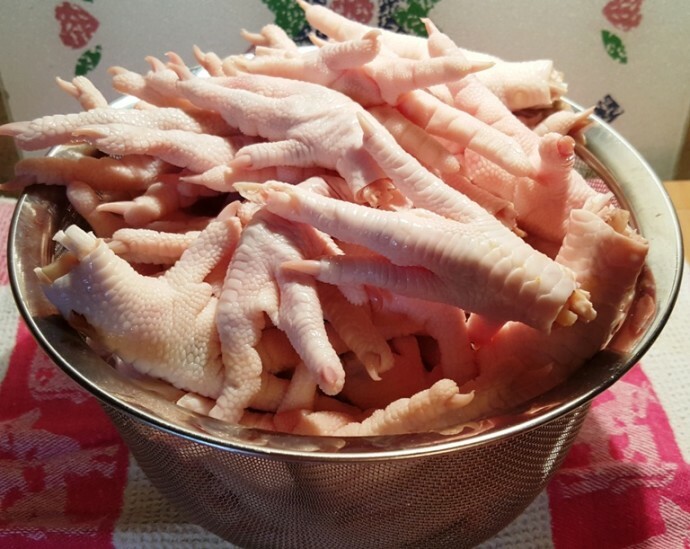 Four pounds of chicken feet made five 24 ounce containers of Chicken Feet Bone Broth. 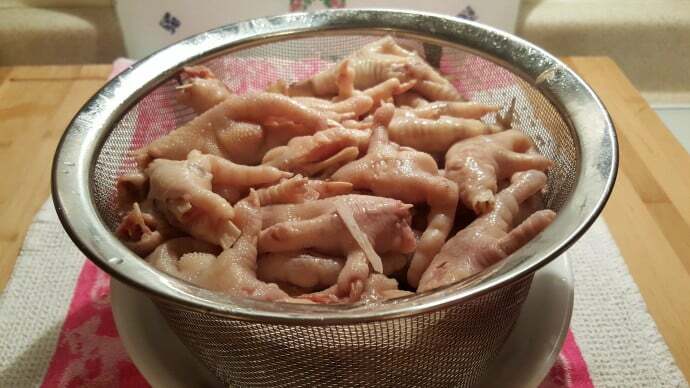 Place the chicken feet and water into Pressure Cooker cooking pot. 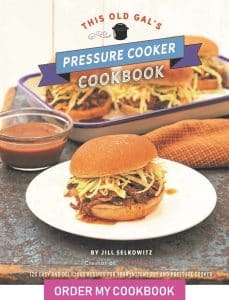 Cook on High Pressure for 75 minutes. When Beep sounds, allow a full natural release. Pour into containers and freeze to use as needed. Cut off the nails and give a few toes to your cats or dogs. 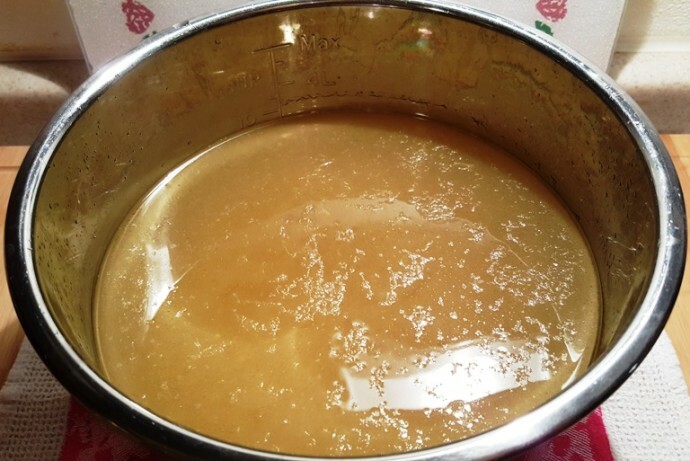 PIN this Pressure Cooker Chicken Feet Broth for Cats & Dogs (and people too!)! Tks for sharing, a good nutrition for the animals. Thanks so much. It is good nutrition for our fur babies! Do you use raw apple cider vinegar for the bone broth? Hi, thanks so much for for this info. Its been so helpful. 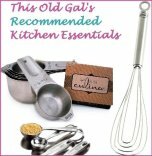 Would love to get the strainer because I cannot lie…I’m squeamish. Would love to dump chicken feet instead of fishing them out of the broth. May I ask? How do you get the handles off of the strainer basket? Do I need to cut the toe nails off all the legs before cooking? 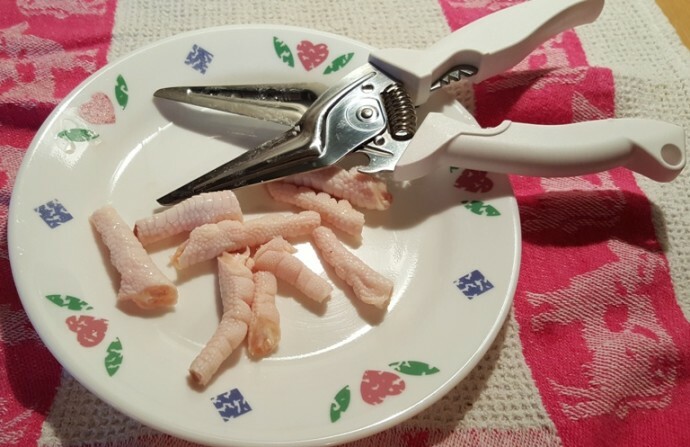 Why can’t give your dogs the chicken feet after? The chicken feet are so brittle the dogs can chew right through them. Where do you buy your chicken feet. 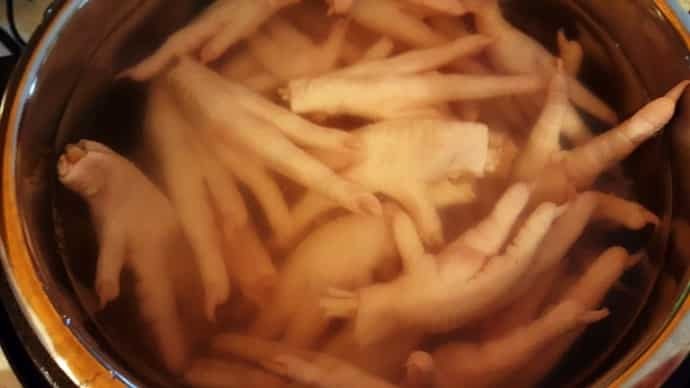 I’ve never seen such clean chicken feet. Or do you have a way of cleaning them yourself. I have arthritis and chicken feet broth is very good for me so I would love your source. 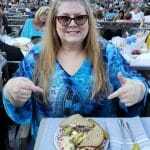 By the way I love your site! Walmart has them labeled as “chicken paws” in the regular chicken section. Hi Jill, Instant Pot newbie here, IP ultra mini for about a week+1/2. 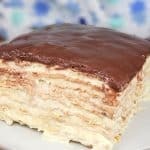 So basically have been lurking here quite a bit 😂 Thank you so very much for this recipe. 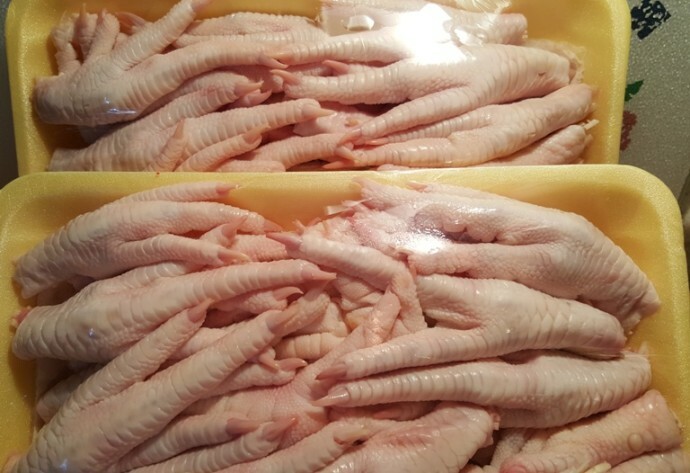 I see chicken feet all the time at my grocery store & could not imagine what for…they kinda freak me out, so that puts me squarely on team squeamish. I inherited my Mom’s elderly Pom & adopted stray cat, Gabby. Very interested in using this broth for them. I had no idea a dry cat food di et is an issue. 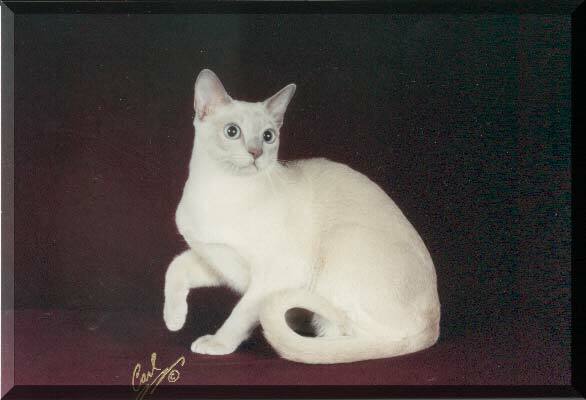 Gabby, so named because she screamed 24-7 like a wild banshee when in heat, was quite the huntress when outdoors. First cat I’ve ever had who actually ate what she caught (except the feet for some reason), rather than bring dead little mangled gifts at my feet, lol! also the only cat who prefers dry. She is an indoor kittie now, but I will google the raw diet thing to augment dry, so thanks soooo very much for that info! So sorry, but not sure how the affiliate link works. Do I just select the link & then shop on Amazon? Will you get credit for all items I buy during that session or do I need to come back here for the link for each item? Help please. Making your broth recipe now, bones I can handle. I’ll just close my eyes when I do the feet 😱 Thanks so much for sharing your expertise & recipes. Really helps those just learning & so grateful for all your efforts to help others! Such a joy perusing here. I’ve seen where the recipe calls for a whole 5# organic chicken. Other recipes say add chicken backs & necks. This is the 1st one i’ve Seen with chicken feet (sans toe nails). It’s all cooked in a crock pot for 4-6 hrs with meat on. 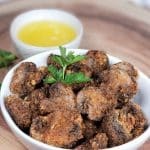 Stop cooking to remove meat. Put skin & bone back in crock pot x 20 hrs on low. I do not have those others machines: pressure cooker or quick pot. I do agree with their expediency. Hi Jill!!! What a wonderful idea! Just one quick question- do i need to heat up the thawed broth before giving to my baby? What recipe do you use for cat food? 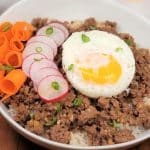 I’m looking into starting making my own food.